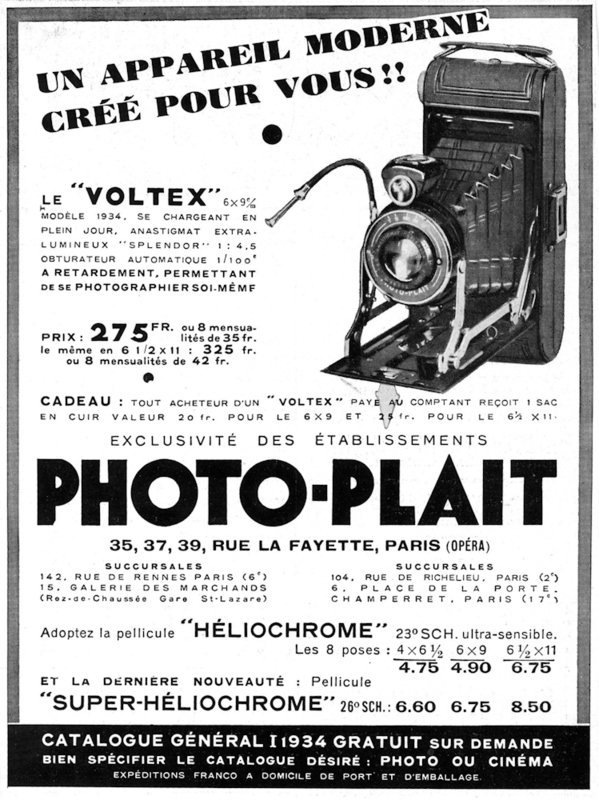 Manufactured in France from prior to 1933 until after 1933. As announced in catalogs, each Voltex is accompanied by a warranty card! This card tells us that it was received the 14th of August 1934, by Ms Dethier, who lived in Auteuil (France), as an identical model, bought the 26 July 1934 proved to be defective. The card indicates the lens number (7948) which is consistent with the camera; by cons, on the card, there is a number (Ter?) 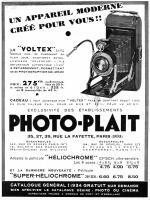 3275 which does not correspond at all to the number shown on the stand of the camera (12193). I do not know to what this number corresponds. 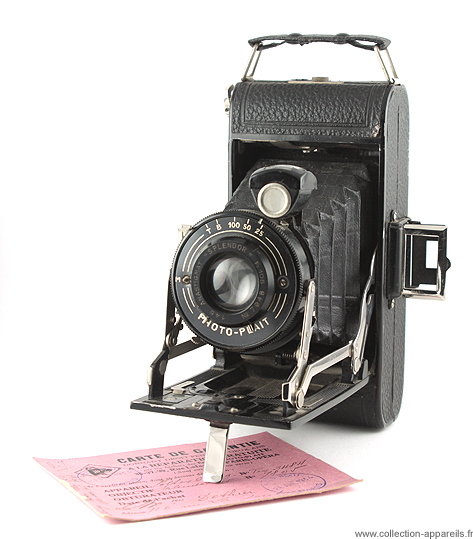 The original model is likely a Lumière Dialux.